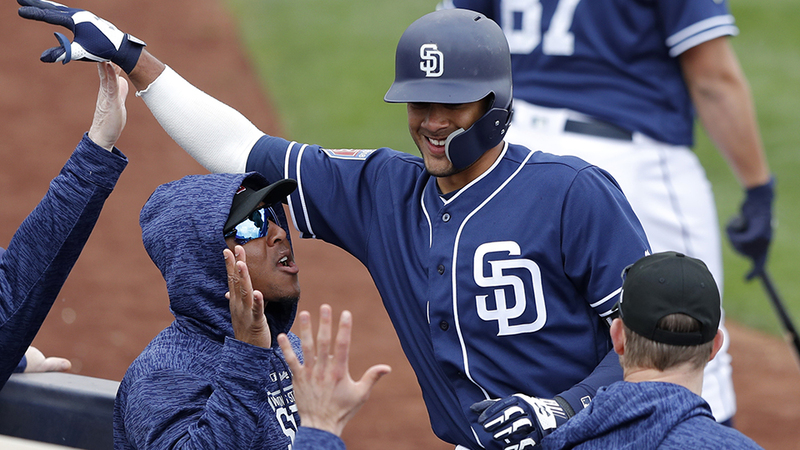 Fernando Tatis Jr. will be with the San Diego Padres on Opening Day. The Padres decided to leave the rookie on the active roster, and he will get the majority of the playing time at shortstop moving forward. He made it clear from the start of Spring Training that he wanted to make the Opening Day roster. Manny Machado has publicly lobbied for him to be the starter. 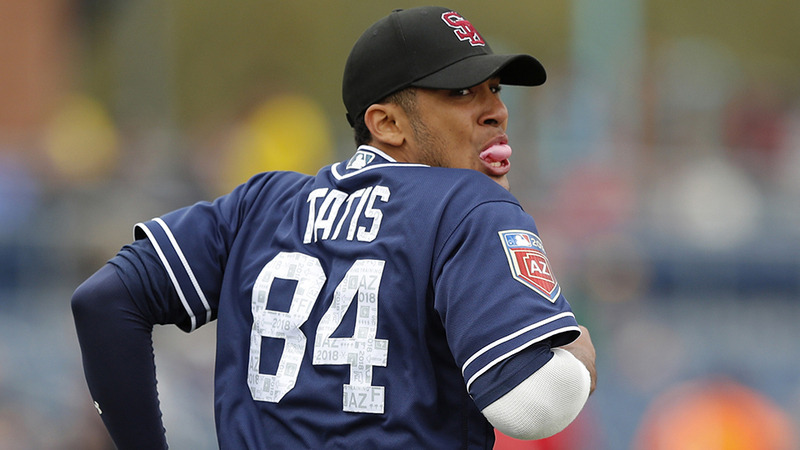 And now, just a day after announcing that fellow rookie Chris Paddack will be making his Major League debut this weekend, the Padres have announced that Fernando Tatis Jr, the No. 2 prospect in baseball, will join him on the Opening Day roster. To make the move, someone had to be cut from the roster. It turns out that, after struggling at Spring Training, Luis Urias will be buying himself a plane ticket for Triple-A El Paso. After hitting .265/.345/.490 in the Spring, manager Andy Green decided that it was time to let the shining diamond of the farm system prove himself in the majors. Some questioned whether to start Tatis in the minors to gain an extra year of service time similar to how the Chicago Cubs sent Kris Bryant to the minors to begin the 2015 season, but AJ Preller has subverted expectations again by calling him up to The Show. Fernando Tatis Jr. has made the team.#Padres believe he's ready and makes them the best possible team. San Diego now has one of, if not the most, exciting infields in the Majors. With Web Gem candidates Machado and Tatis on the left side of the infield, as well as former Gold Glove winners Ian Kinsler and Eric Hosmer at second and first base, respectively, the Padres defense is shaping up to be one of the best it’s had in years. Of course, a fallout had to come with this, and someone’s had to be optioned off the roster to make room for Tatis. In yet another surprise move, it was Urias, not Jose Pirela or Greg Garcia, who got his name called to be sent down. Urias had a weak Spring showing, collecting a .213/.302/.362 batting line with an uncharacteristic 16 strikeouts opposed to six walks. Many questioned the leg kick Urias employed and, while it did lead to some more pop, also may have been the reason why he struck out so much. The expectation was for Urias to start the season at shortstop and Kinsler to man second base while Tatis went to the minors, but leave it to Preller to do the unexpected. With Tatis in the majors, some have also wondered if San Diego is taking a page from the Chicago White Sox and making him an extension offer. Last week, the White Sox signed their uber-prospect, Eloy Jimenez, to a six-year, $43 million deal. With how much Ron Fowler has opened the coffers recently and with Tatis’ similar pedigree, it’s not much of a stretch to assume the Padres aren’t taking a similar path with their uber-prospect. Counting Paddack and Francisco Mejia, this makes San Diego one of the youngest rosters in the Majors and one that should have San Diego fans ready for the season. The tanks are being decommissioned, and young guns like Tatis Jr. are leading the charge. With the signing of Brito Cordero should be sent down as well. He didn’t earn a spot and needs to play every day to see if he can develop. Franchy is no sure thing to ever be good enough to make an impact in the majors. I’m somewhat surprised about keeping Tatis on the team as well but I think it will work out well. After a couple of years, service time be damned, perhaps we will see extension and we won’t have to worry about it. Kinsler has to play – he was signed to a decent sized free agent contract. Let Urias earn a call up. The one troubling thing I don’t like is keeping Mejia on the roster. Hedges is “the man!” He is also one of the top defensive catchers in the game and a true leader. So why did Preller even trade for Mejia? I keep hoping he and Reyes get traded to some American League team for a decent pitcher. We’ll see! Urias simply didn’t earn it. And management has proven they don’t really care about service time issues. They could have gamed Margot and didn’t. So after extending Myers, signing Hosmer and Machado there is just too much urgency to not field the best team. This ownership is true to its word. Competition at each position and whoever wins plays. Good for us fans, good for the players that earn it, good for the ownership that is honest and focused about putting the best product on the field even if it means losing control over a player one year sooner. Padres brace yourself for something we’ve never experienced before – a future around winning consistently. Proud of the Padres front office. They talked competition and backed it up, even to the point of who I as sent down! Go Padres!